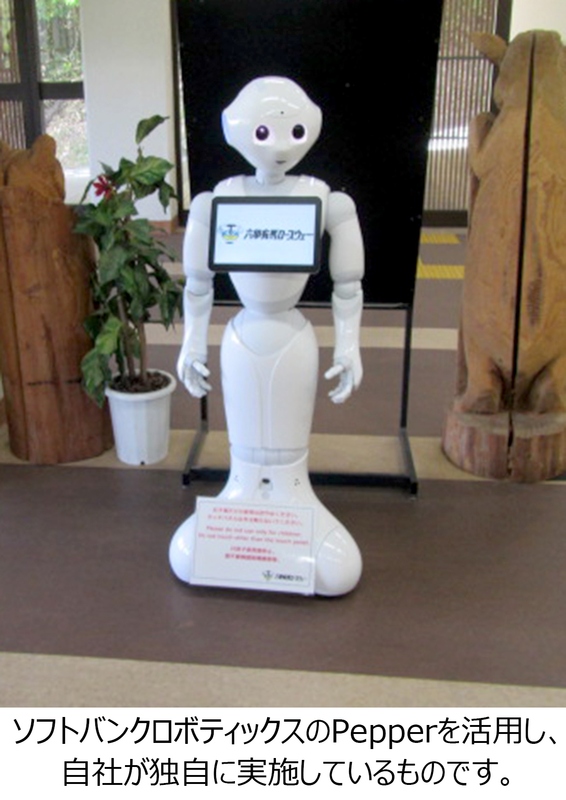 “Omotenashi”　by “Pepper” at Arima Onsen Sta.! connection with other means of transportation, tourist facilities and sightseeing spots on Mt. Rokko in English, Chinese and Japanese at Arima Onsen Sta.